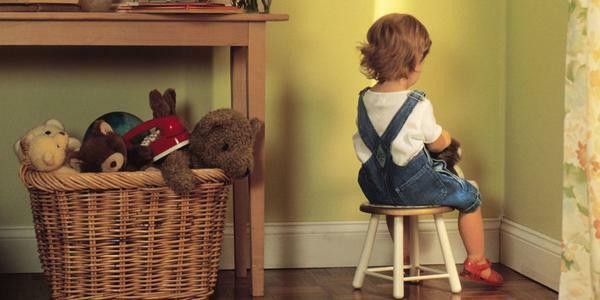 Why 'Time-In' Is Better Than 'Time-Out' To Discipline Your Child? Discipline is a very important fact that is needed to be considered while teaching your child on how he/she should behave and maintain a sense of decency while indulging into various activities. Well, if you are aware or not the two concepts, ‘Time-In and Time-Out’ are very popular on the parenting charts. Discipline is the core gift that we want our children to access from our teachings. To understand it more clearly, Time-In means, there will be moments when your child will make mistakes and will also disobey. When this happens, try a method called "time-in." Sit them down, have a chat with them on how their actions are affecting everyone, specifically them, make them realize on their actions. Give them time to think, give them reasons why this is not the right thing to do. On the contrary, another method to discipline your child is with the method of Time-Out, in this method you go with the harsh way to teach them a lesson and punish them for any misleading actions. This way conducts the rude comments and bashing and thereby teaching the child about any action that went wrong. To make a proper analysis on how you want to teach your child to be disciplined, it is necessary that you choose the proper method of teaching your child in terms of getting educated. To many people, Time-In is a better method that is more suitable to teach your child about morale and discipline than Time-Out. Punishment is not the scenario on every time your child makes a mistake. It may cause a sense of guilt and isolation in your child’s brain. It is important to make amends for the mistakes of your child but it is important that the execution of your teaching is filled with love and care and not with commenting and bashing. Does regular Exercising make you more disciplined? Think You Can Drive? Watch This! Quick & Easy Brownies For Your Evenings! Your Personal Trainer Is Here!